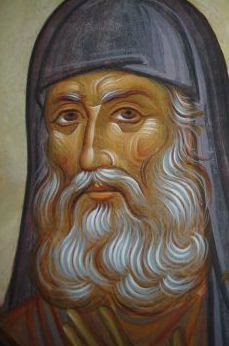 This Saint is mentioned by the Cypriot historian of the 15th century, Leontios Machairas, in his Chronicle, where he writes: "Close to the village of Alektora, at a place called Glyfia, there is the tomb of Saint Kassianos as well as his relic, and his memory is celebrated on September 16." Three kilometers northeast of the village of Alektora (a village located at the boundaries of the the provinces of Limassol and Paphos), and specifically at the boundaries of the villages of Archimandrita, Plataniskia and Alektora, there is an isolated peaceful area called Glyfia. On a hill situated in this region there are the ruins of the Church of Saint Kassianos, as well as the ascetic's cave in the north wall of the church. The cave was also enclosed inside the church with a small gate leading to it. The cave inside appears blackened by the many candles lit by the faithful in older times in order to honor the Saint. 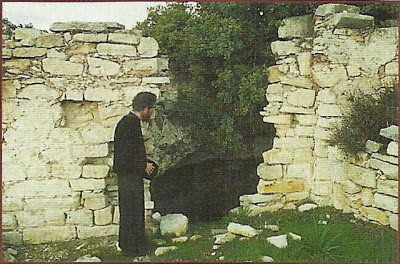 There is also a pit at the left of the cave with a surrounding plaster wall, still standing today the same way as it was made by early Christians. It is believed it was the sarcophagus of the bones of the Saint. This small church was painted with holy images, as evidenced by traces of wall paintings appearing on the left of the apse of the sanctuary. Saint Kasiannos must have been a miracle maker because, as Machairas mentions, the remains of his body were venerated, and also because there may have been frescoes depicting his life and miracles which unfortunately have not survived. Approximately four hundred meters southeast of the hermitage, there is a well. The well was later opened, as the locals claim, while during the times of the Saint the water was on the surface and the stone canal leading the water supplying the Saint was closer to the hermitage of the south side of the hill, and is preserved to the present day. After the passing away of the Saint, this water was definitely considered to be holy water by the faithful, who arrived to venerate his relics. The memory of Saint Kassianos of Glyfia was celebrated on September 16. Today the Saint has been forgotten and his memory is no longer celebrated.